Terrific Wedding or housewarming gift! Get this Tools of the Trade Stainless Steel 12-Pc. 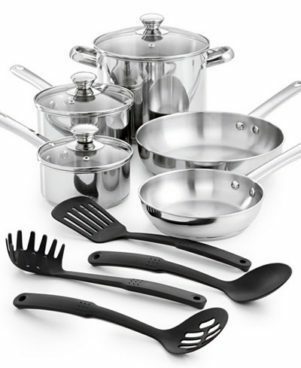 Cookware Set for just $29.99! Down from $120! Get FREE Shipping on orders over $50 or opt for FREE store pickup at your local Macy’s!